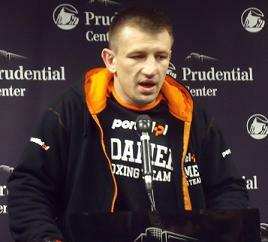 In front of 8,218 boisterous fans at the Prudential Center in Newark, New Jersey, Tomasz "Goral" Adamek (43-1, 28 KO's) won his twelfth straight bout, stopping the fearless Vinny Maddalone (33-7, 24 KO's) at 2:17 of the fifth round. 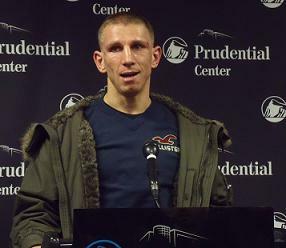 It was Adamek's sixth career victory at the Prudential Center since 2008. 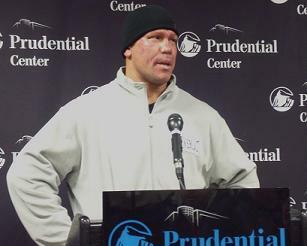 "Vinny is a tough opponent, but I am faster," stated Adamek. "I knew if I was quick, I could hit him hard." In the beginning of round one, Adamek connected with a hard right cross to Maddalone's head. During the second half of the round, Adamek attacked Maddalone's body with a series of rights and lefts. Adamek's distinguished lateral movement frustrated Maddalone, and limited his ability to throw and land punches. Maddalone picked up momentum in round two, scoring with an overhand right. However, Adamek dictated the pace by using a steady left jab to control distance. In round four, Adamek, 34, wobbled Maddalone, 36, after connecting with a thunderous left hook. Then, Adamek sent Maddalone into the ropes when he landed a straight right hand. Maddalone responded, firing and landing a big left hook. After that, Maddalone stepped up his aggression and connected with an overhand right. Adamek floored Maddalone with a devastating left hook in the fifth round. Maddalone, a resilient warrior, got back up, but was on shaky legs. Adamek closed the distance, landing a right cross - left hook combination. Next, Adamek connected with a barrage of rights and lefts until Maddalone's corner signaled referee Steve Smoger to stop the fight. "He had really, really quick hands tonight," said Maddalone. "I was really surprised how quick his hands really are and I give him all the credit in the world. He was the better man tonight." Maddalone added, "I never saw the punch coming. That's what happens when you don't see it - they hurt. He's a proven champion like I said from day one, and he has a bright future ahead of him in the heavyweight division." 30-year-old middleweight Patrick "The Machine" Majewski (15-0, 10 KO's) scored a sensational eighth round stoppage against a very tenacious Eddie "Thunder" Caminero (7-4, 7 KO's). Official time of the stoppage was 1:20. In round one, Caminero sustained a cut on the corner of his left eye, but he managed to put a lot of pressure on Majewski, landing a series of wide overhand rights and body shots. Majewski seemed surprised by Caminero's effort, and he also received a cut above his left eye. Majewski regularly tried to work behind his left jab, although Caminero was disrupting his rhythm by landing bombs from various angles. While Caminero relentlessly charged forward, it was quite evident that Majewski possessed more power in his punches, as he displayed astute, technical abilities. By round four, Majewski's inefficient work rate enabled Caminero to get close and land damaging punches. Approximately five seconds before the start of the fifth round, Caminero was off his stool and ready to go, while Majewski used all the seconds in between rounds to recover. By round six, Majewski had gained full control. Bleeding from both sides of his eyes, Majewski started to land detrimental right hand shots. After round seven, Caminero momentarily stumbled walking back to his corner. In round eight during a heated exchange, Majewski connected with a perfectly-timed straight right that left Caminero briefly out on his feet before crashing to the canvas. Referee Sparkle Lee immediately halted the bout. "I wasn't looking for a knockout," confirmed Majewski. "If you're looking for the knockout, you're never going to find it." Majewski added, "In the last round, I tried to relax because he was throwing some bombs. But, I put some combinations together and took him out." What did Majewski learn from this fight? "To move your head," answered Majewski. "If you stop moving your head, your opponent will move it for you." 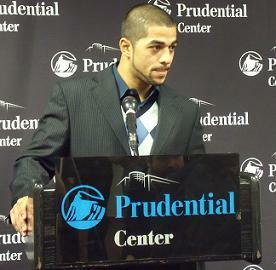 Sadam Ali (11-0, 6 KO's) continued his winning ways, capturing an eight-round unanimous decision victory over Manuel Guzman (7-10-2, 3 KO's) in a welterweight contest. All three judges scored the bout 80-72. "It was my first time going eight rounds," said Ali. "The rounds are only going to go up more." Ali, 22, thoroughly outclassed Guzman, who showed a great deal of trouble dealing with the crisp combinations and smooth lateral movement of the rising Brooklyn superstar. In round three, Ali's blistering sequence of punches left Guzman with a cut under his left eye. From a safe distance, Ali peppered Guzman with powerful right crosses and sharp left hooks, baffling the 27-year-old Costa Rican fighter. "He caught me with a couple of clean shots, but thank God for the chin I got," stated Ali. Guzman could not handle Ali's superior athletic ability, fast hands and extremely accurate punches. He was never able to close the gap and put his punches together, as Ali was simply too good in every aspect of the fight. Ali declared, "I love boxing. I pray to God and train hard and everything seems good so far." After a year absence from the ring, super middleweight contender Tarvis Simms (26-1-1, 11 KO's) returned to action, scoring a six-round unanimous decision over Willis Lockett (12-11-5, 5 KO's). Official scores were 60-54 and 60-53 twice. "The first couple rounds I felt pretty sharp," said Simms. "Obviously, all that went out the window when I knocked him down. Instead of going back to what we worked on, I started forcing the punches, trying to get him out of there. That's why I didn't get the knockout, but I'm happy to get in the rounds after such a long layoff." In round one, Simms utilized his left jab and scored with a counter left hook. After that, two consecutive rights staggered Lockett. After Lockett was briefly tossed to the canvas, a left - right combination by Simms floored him. Lockett tried to fight in close quarters during round two, however, Simms responded by landing a short left hook to his head. Then, Lockett connected with an overhand right, although he displayed poor balance and was hesitant to let his hands go. Simms momentarily switched to a southpaw stance during the round, striking Lockett with a straight left followed by a right hook. During round three, Lockett was looping his shots and exhibited little power behind them. In round five, Simms' punch output significantly dropped, which enabled Lockett to connect with some wide overhand rights. Lockett also managed to score with a few short hooks to the body. Simms was better in round six, landing a counter left hook. Then, Simms closed the round with a rock-solid right hook from the southpaw stance. At 39-years-old, Simms wants to get back in the ring quickly. "I would like to get back in the ring in February," revealed Simms. "I would like to fight as often as possible. I'll get sharper with more rounds." In a junior middleweight bout, Gabriel Rosado (15-5, 8 KO's) defeated Jose Medina (12-9, 5 KO's) by an eight-round unanimous decision. Rosado won by scores of 80-72, 79-72, and 78-73. Rosado scored with overhand rights set up by his left jab in the opening round. After getting tagged by a left hook from Medina, Rosado landed vicious lefts and rights to Medina's body. With thirty seconds to go in round three, a quick overhand right by Rosado dropped Medina. In round four, Rosado connected with violent left hooks and right crosses, snapping Medina's head back. 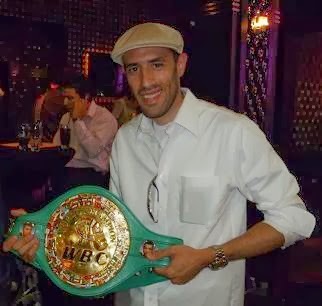 Medina sustained a cut left eye in the sixth round. Overall, Rosado was much more fluid with his punches, finding the target repeatedly throughout the course of the bout. Light heavyweight Angel Concepcion (4-0) improved his record, winning by scores of 40-36 on all scorecards against Lekan Byfield, who was making his professional debut. Byfield was outweighed by 11.5 lbs. entering the contest, and was frequently pushed back by Concepcion's left jab. Concepion was a little passive in round one, but struck Byfield with a solid right - left combination to the body in round two. In round three, Concepcion hurt Byfield with a right cross - left hook combination. Midway through the round, referee Sparkle Lee had to separate them for wrestling against the ropes. For the most part, whenever Concepcion opened up his arsenal, he caught Byfield with clean, effective punches. 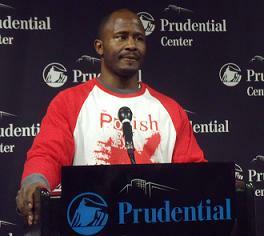 Philadelphia heavyweight Bryant Jennings (5-0, 3 KO's) stopped Randy Smith (0-1) at 2:18 of round two. Jennings, 26, hurt Smith with an overhand right in round one. Later, Jennings staggered Smith when he connected with a left hook - right cross combination. After scoring with a sweeping left hook to the body in round two, Jennings hurt Smith when he landed a right uppercut. Then, an overhand right knocked Smith's mouthpiece out, and Jennings followed up with a massive left hook that floored the 256 lb. giant.